“What’s in a name?” as William Shakespeare once said, we beg to differ! Being souls consumed by wanderlust, the exclusivity of this new co-working cafe that&apos;s unassumingly called Nowhere had to be explored! Once you enter, on the left is their beguiling terrace area and on the right they have an indoor seating. One end of the indoor area is tenanted by a microbrewery and a small portion is assigned to live bands for gigs. Not to forget the lavish bar right in the middle of it all. They also have a separate smoking zone. 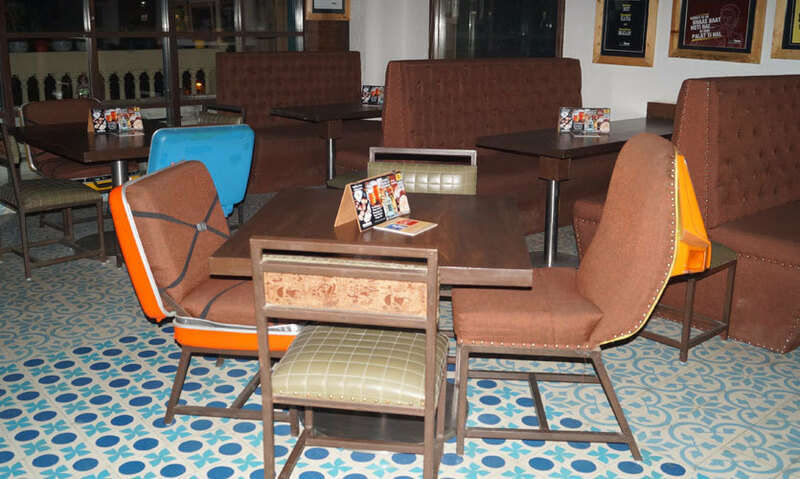 The terrace garden offers a cabana seating with interesting wine barrel tops used as tables which add a funk element to the overall décor. 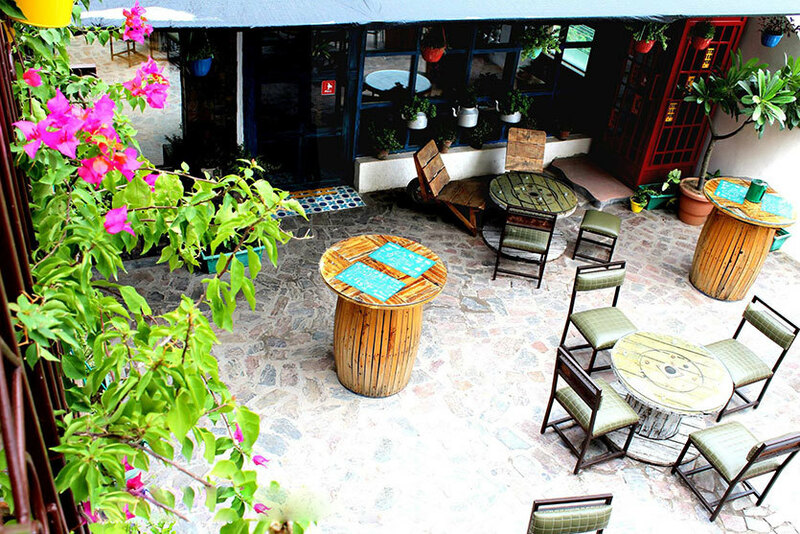 Ranging from open suitcase chairs to riding in a Chetak, the wooden deck like furniture in the smoking area and the profusion of potted plants makes everything looks bewitching. And the best part is that they have a separate co-working space - a quiet zone where you can avail their facilities for 99 bucks per day which includes unlimited coffee, rusk and biscuits and of course free wi-fi! Whilst still soaking in the lovely ambience including the soothing Sufi music, here&apos;s what we gobbled up. 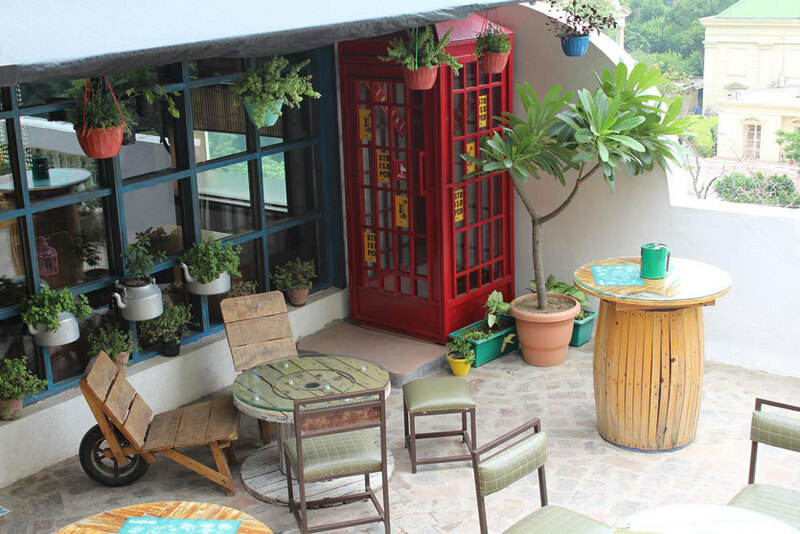 Nowhere Café boasts of crafting their beer with patience and passion, and we had no doubts about it! 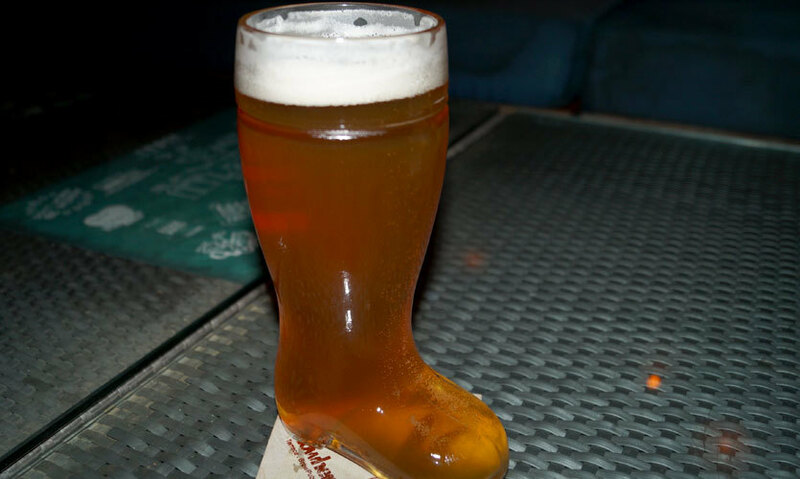 Served in a boot shaped glass, their beer takes around 3 weeks, on an average, to be fully matured before being served to us. They serve 5 different variants, Lemon being there exclusive flavour. And don’t worry, they make you taste all 5 before you order! This quirky named drink is a whisky based drink, designed specifically for those who can handle their alcohol well! 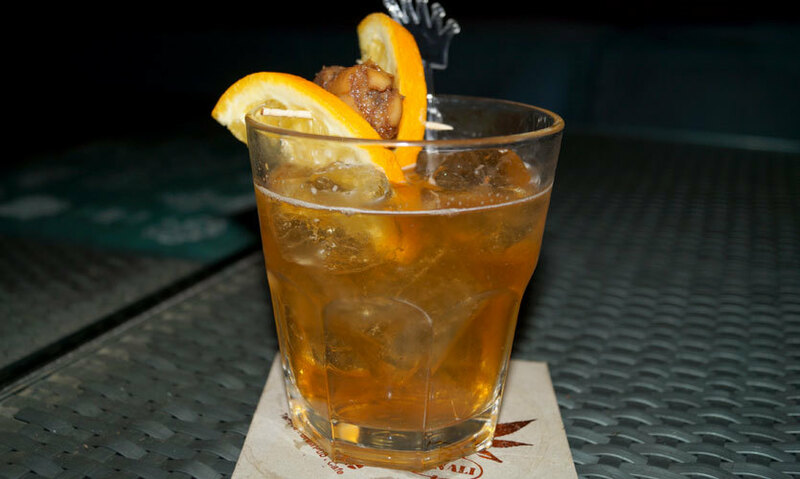 Jack Daniels whisky forms the base of this drink and is emulsified with a dry martini and a hint of cinnamon presented with a whisky infused date skewered between two orange slices. Nice!! 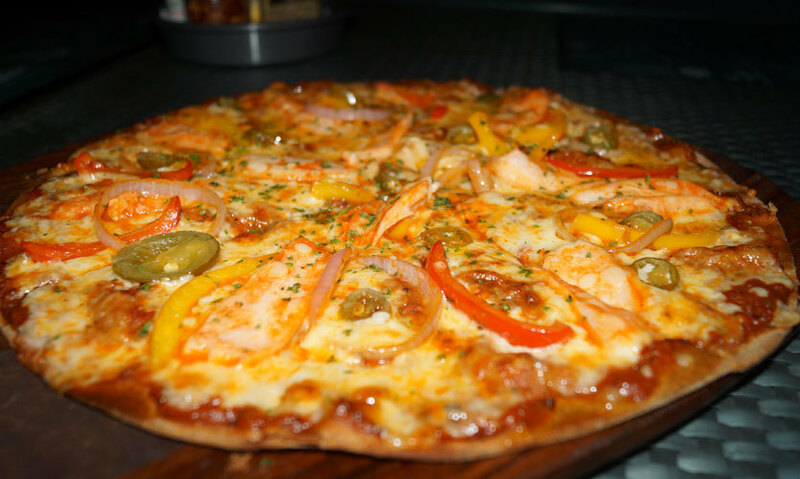 A 12’’ thin crust base topped with smoked chicken, goat cheese, sliced red and yellow bell peppers, capsicums, onions, jalapenos and a generous amount of mozzarella cheese describes this pizza best. Dough fermented in beer is rolled out as thin as possible and are freshly baked on orders. The chicken was juicy and had a smoky flavour to it, the crust remained crunchy which was great and the level of spices used in the toppings left their impact after every bite. 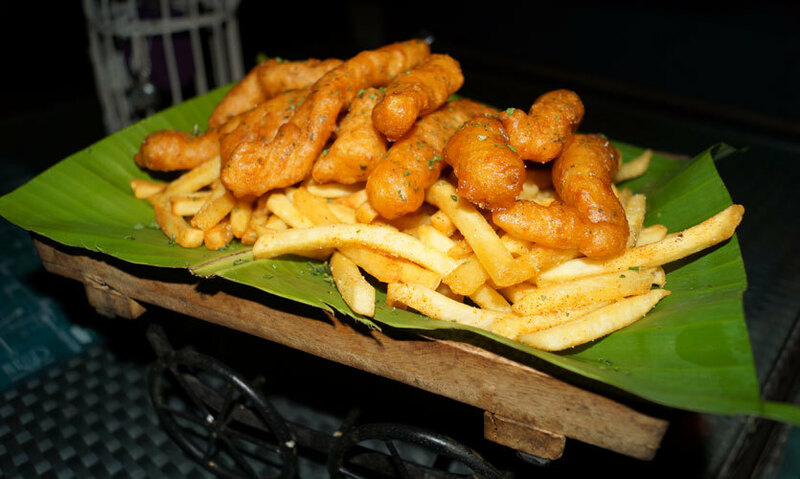 Placed on a bed of French fries were fried fish fingers made in a batter by whisking beer and flour with pepper and salt in which the fish fillets were dipped and then fried of course. Despite being deep fried, there was hardly any traces of oil. This was perfectly complemented with a sweet and sour dip garnished with coriander. Their passion for beer was clearly evident! A gravy made from beer and various spices, sautéed vegetables, mashed potatoes with mint snow peas and a whole chicken was waiting to be devoured by us. 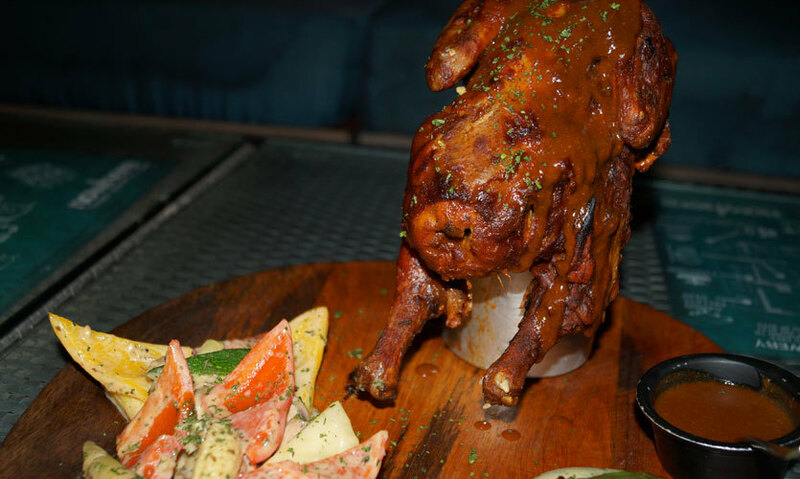 Evenly marinated, fully coated with a spicy gravy and cooked with utmost care, this is a must try item here. 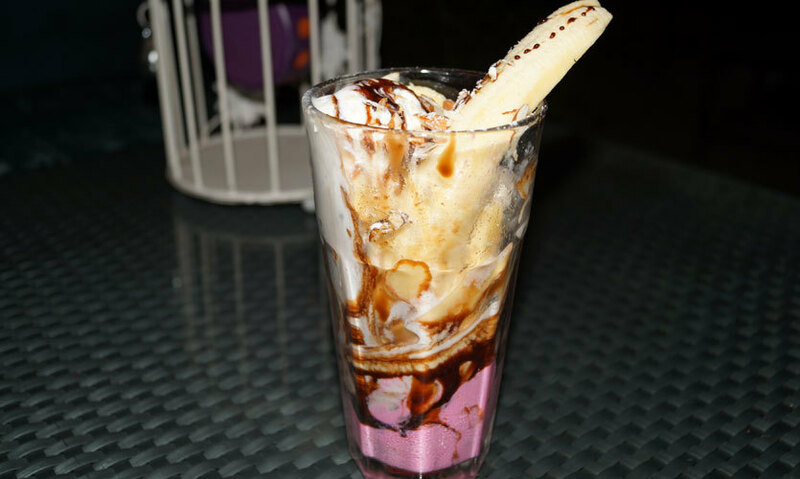 A dollop of strawberry ice cream forming the base with sliced bananas, single scoop of vanilla ice cream and nuts with some chocolate syrup would best describe this dessert. The blend of all these flavours was a treat to our souls. Bliss just found a new meaning! 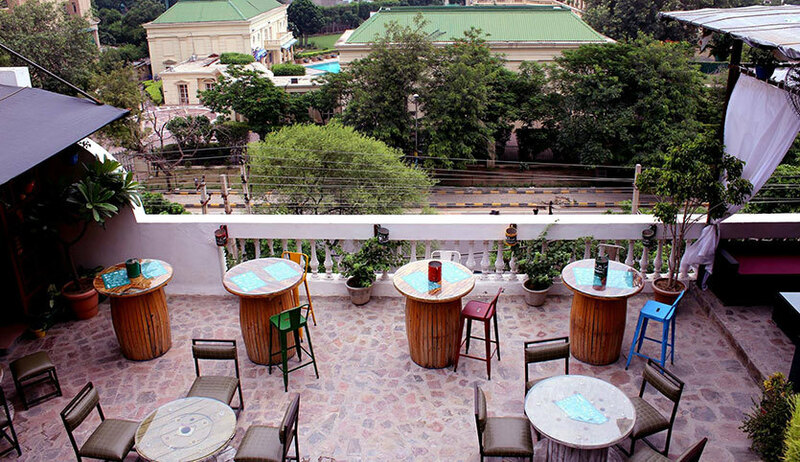 Overall, we loved the place for its soothing music, its breath-taking ambience and is a treat to the eyes, especially at night with dim lights and spectacular views from the terrace! All foodaholics, workaholics and partyholics should head on over!